As you may have noticed on our Facebook wall (please join as some news and information are published there directly) we have been “teasing” you recently with some news about our latest idea. As you know most of the providers of different kinds (internet, mobile, etc.) most of the time care more about new customers than about the ones they already have. We want to do “something” to change that a bit.As I said above we want to show you that we care and that every single one of you is important to us. 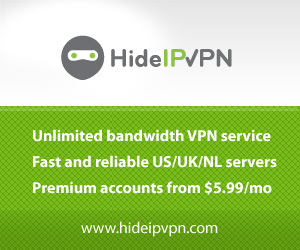 There is no hiding it, HideIPVPN is a commercial venture but we like to think of ourselves that we are different form the rest, better. This is why for a long time, every now and then we were giving away Free VPN accounts. This was one of the things that (we hope) is making us different form others providers out there and at least for some of you may be the reason for choosing us. At the same time we felt that we should think of something ‘extra” we could do for our existing Premium customers. Task was not an easy one, because since our offer is GREAT! 🙂 already it is extremely hard to make it any better. As you know all our Premium VPN accounts come with no limits on traffic (send and receive as much data as you like), no limits on speed (the better your location and ISP is the faster you surf) and no contract (simply “Pay as you go”) there is hardly anything we can do. Our idea was, that we want to somehow reward those of you, who our our loyal customers on a “Pay Monthly” plans. After lots and lots of discussion we came up with the following idea. 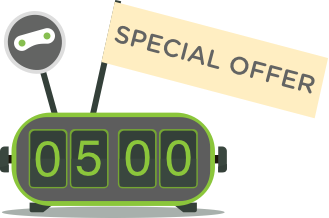 Every month we will make a draw between all of you (conditions are: you are paying monthly and you are with as for at least 6 months) an EXTRA 1 month of FREE VPN. Basically, we will contact you (if your name will pop up) with an information that next month of your current VPN services is ON US! As you realize our resources are not unlimited and this is why we have to limit this draw to 5 people every month. Your first names will be published on our FB wall and we will appreciate if you will share this news with others. We hope that this will be another reason for you to stay with us and recommend us to your friends. First draw will be done in March, so check your inbox for news from us :-).